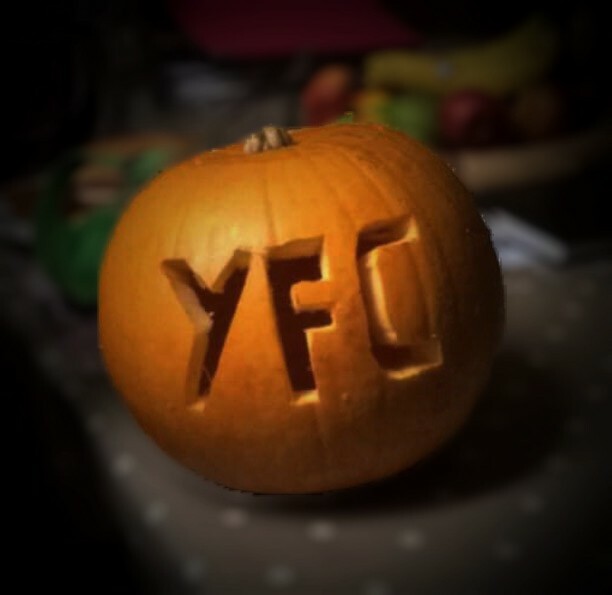 With 31st October falling on a Saturday this year, we took to Trethorne for our annual disco. With over 250 people attending, it was a busy night, partying to DJ Pasty until the early hours! Georgina Monk, the current chairman from Cornwall YFC came up to talk about communication and how we use it in club. 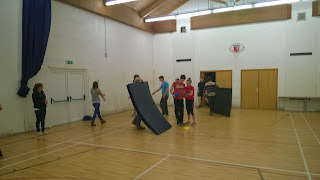 It is one of many 'curve' sessions that Cornwall YFC offer to train and pass on knowledge. After we all introduced ourselves, we worked in three teams and had discussions on how communication is used within club, within county YFC and within the wider community. 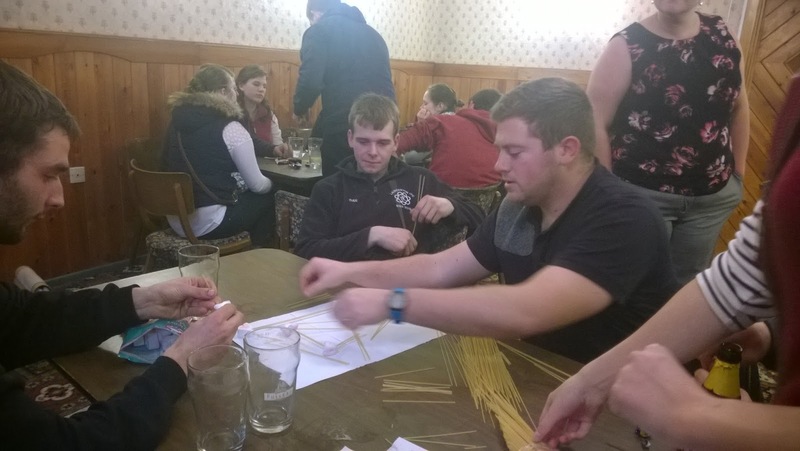 Georgina then set us a challenge to see how big a tower we could build using spaghetti and marshmallows, which did create a bit of mess! Well done to all who competed in the debating round, it was fantastic to have 2 teams competing at Mount and especially such young teams. It shows great hope for the future. Very well done to the B team who have qualified for the final, and also congratulations to Liskeard YFC on winning the round and also going through. The third carnival of the year was at Camelford where we once again had a good turnout of people to take part. The float gained 3rd prize in the over 16s artistic category. Well done to everyone that attended. On 22nd October, we all gathered at Warbstow Hall for indoor sports practice. Our sports secretaries Thomas Routly and Holly Yelland showed us what the sports are for the competition this year, and we split into groups to compete against each other, Sports ranged from frizbee, rolling tyres and a relay race to a game of Kwik cricket at the end. A smashing time was had by all! 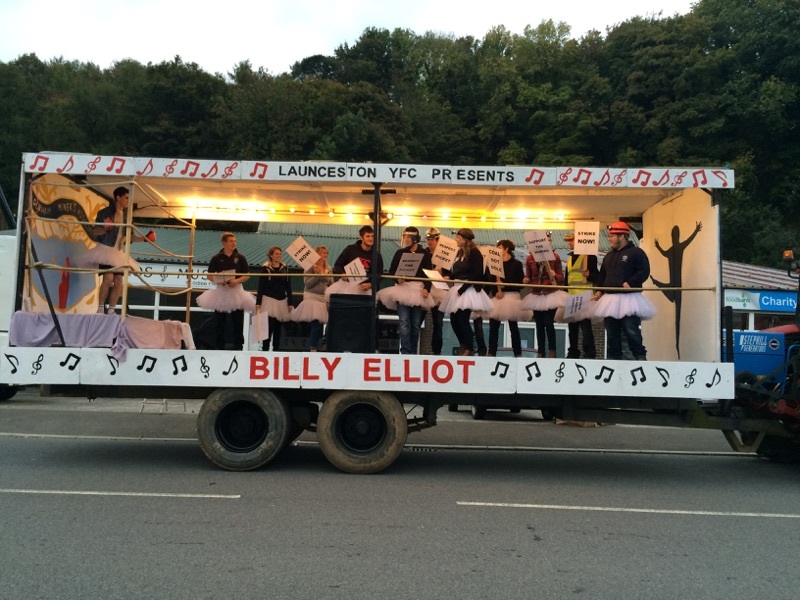 Okehampton is the second carnival of the season, with several members travelling up the A30 to take part. Unfortunately no prizes were won this time, although the float looked good. A good time was had by all. Young farmers this week took us to Bodmin Jail where we had a guided tour. We started out in the car park where our guide explained how the height of the walls was increased as inmates kept escaping! He also showed us how the yard had changed after a haulage company used the jail as a shunting yard. Next we went into the naval wing which was used during the war. He was able to show is how the heating and ventilation systems worked, and said how it was state of the art and most modern jail in Europe when it was built. From here we went into the basement below the main ventilation tower where we saw where the heating system would have been, and some underground cells. As we climbed up 6 levels, we saw rooms that had their place in history, including where the crown jewels and doomsday book were stored for a short period. The tour finished at the top of the tower where the outlet of the ventilations system was. 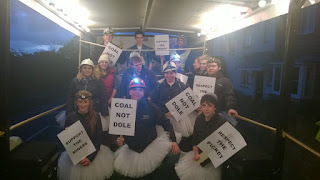 As usual, the first carnival of the season was Launceston and 15 club members met at Newport for this years procession. Everyone was dressed as miners with dark clothes, hats and headlamps, but with the addition of tutus! We gained 1st in our class, and also most original idea! 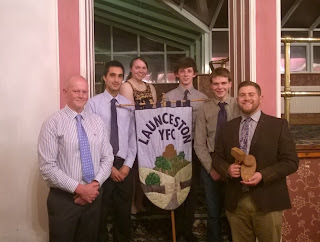 Over 40 club members and guests attended the annual general meeting at the White Hart in Launceston. The secretary, treasurer and club leader all gave their account and report of the year, and it was reported that over £2600 has been raised for the charity of the year which was the British Heart Foundation. 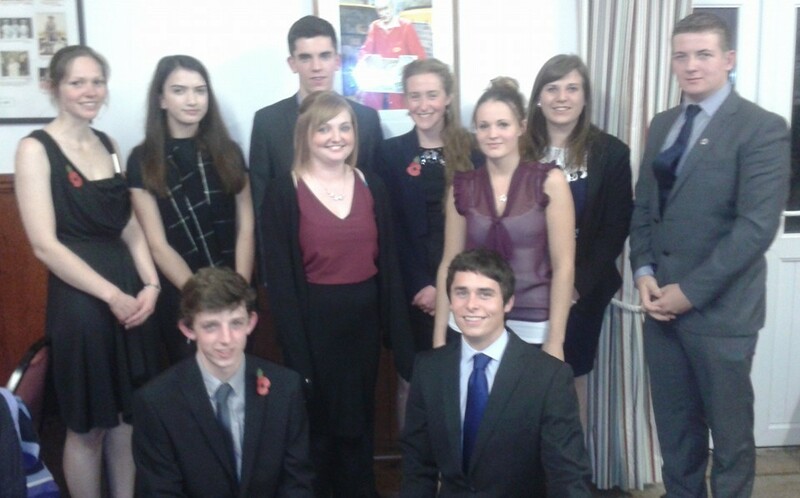 A vote of thanks was made to the retiring officers by Hannah Gribble, and new officers were elected for the roles for the upcoming year. 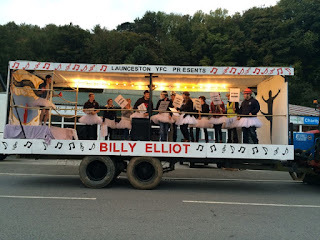 The carnival season is fast approaching, and this year we have chosen Billy Elliot as our theme. The float is quickly taking shape, and will hopefully be ready by Launceston Carnival on 10th October!